Every once in a while, there will be an event that transports me to New York or LA right, but takes place right here in Cincinnati. 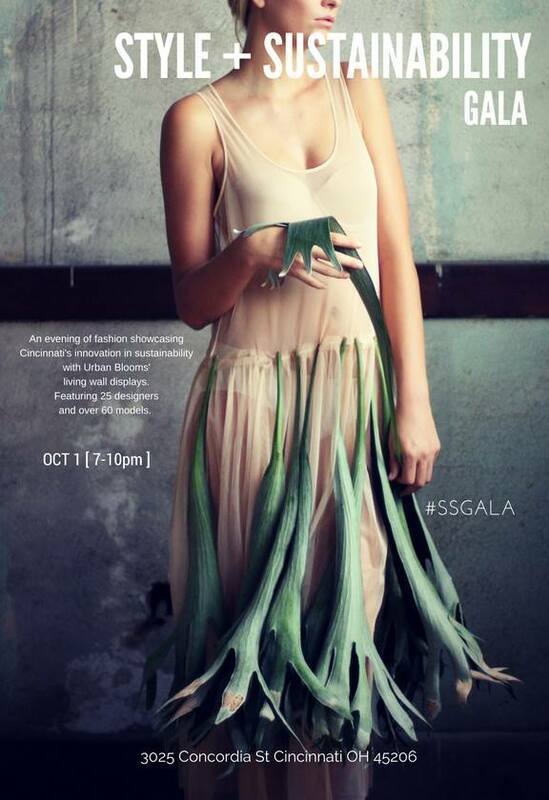 The upcoming Style & Sustainability event is one of those times! On Oct. 1, Modern Makers and Urban Blooms are teaming up to bring the most sustainable and collaborative fashion experience Cincinnati has ever seen! Kicking off the Uptown Innovation District, their largest event of the year will bring together a diverse audience to look at the growing sustainability and fashion scene in our city. They welcome you to explore, network, shop, eat and dance in our 100,000 sq ft industrial space– showcasing a moss catwalk, 25 designers, 60+ models, local vendors, food trucks, and living walls by Urban Blooms! They also have the generous support from ArtsWave + Taft’s Ale House. The event will be Oct. 1, 7-10pm, at 3025 Concordia Street Cincinnati, OH. To learn more or purchase tickets, click here.